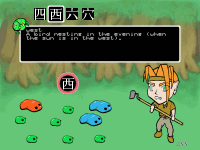 This is the project page for the LeaRN Japanese RPG: Slime Forest Adventure. SFA can teach you basic Japanese literacy with: katakana, hiragana, and kanji. 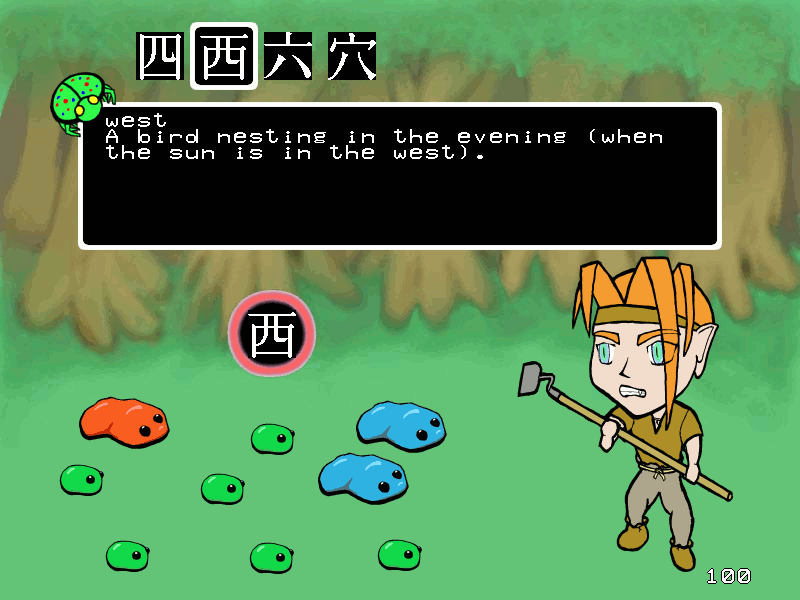 It is playable and the first storyline ("Jenk's Adventure", for introductory kanji recognition) is essentially complete. 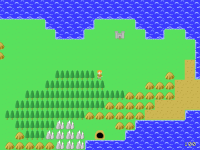 There are demo and registered versions available for Windows, OS X, and Linux. Support development by becoming a member! Membership costs $15 and gives access to the full Registered Version of Slime Forest Adventure. The Web App is a supplement to the game for your smartphone or other web-capable device. Fight slimes, save a princess, learn Japanese! Sorry, dynamic stuff on the site's broken for now. You can still download the demo and use the web app. I'll fix it up better, but I have to run now. Some trainer and difficulty fixes. I think these will make it much more enjoyable to play through. 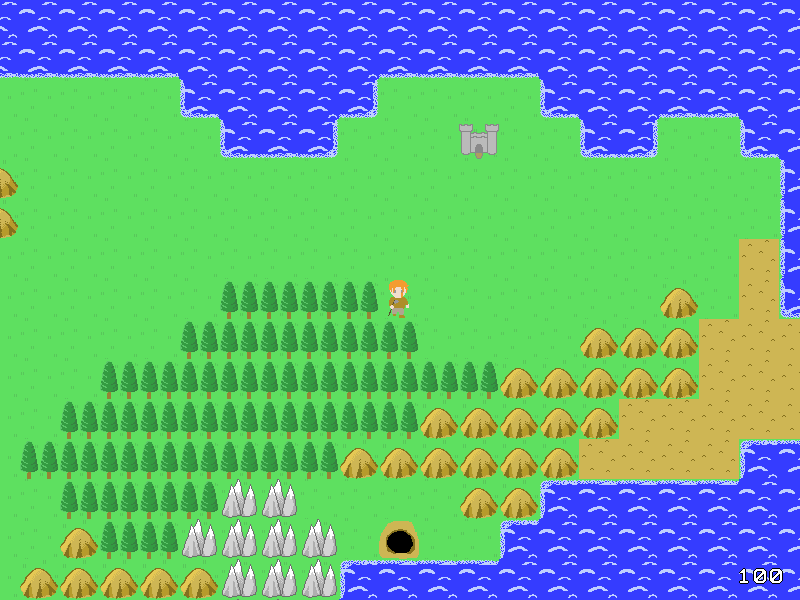 Ported to SDL 2, a newer version of the interface library Slime Forest Adventure has always relied on. This should fix various problems, but it was necessary to drop support for older Macs (minimum recommended version is now 10.7, 10.6 might still work). Improved the kana typing keyboard remapping, made the game start in fullscreen by default on Retina macs (due to performance issues in windowed mode). A minor release: support for custom keyboard remapping for kana typing, using a configuration file. If this works well for the people who need it, I'll set it up for more general keyboard remapping. Put out a release to fix some annoyances. Working on something bigger. More soon. Bug fix release today. Some of the latest changes didn't work properly, including a crash bug. Should be better now. New version out today. I think this improves a lot on the training usefulness and general enjoyability. One of the most obvious changes is that it now switches randomly between four common styles of font. Review and reinforcement scheduling have been improved, and it should be easier to make progress through the caves. The update mailing list has been reactivated (you can sign up for it on this page or in account configuration in the member area). I've fixed some of the technical stuff that was a problem for spam filtering, so hopefully this should stay available.